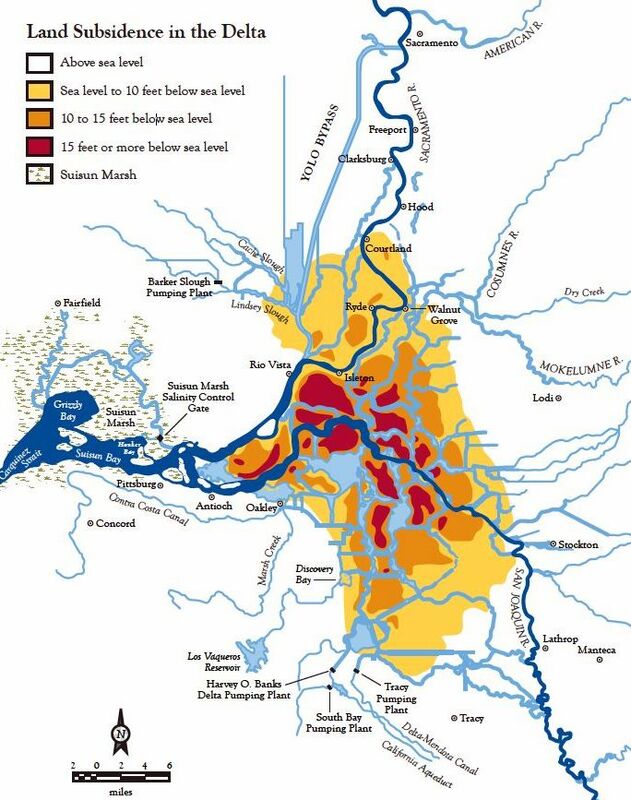 Much of the western and central Sacramento-San Joaquin Delta has sunk deeply below sea level, and it continues to subside as its marsh soils erode from being drained and farmed. At the same time, sea level is rising. The two trends increase these islands’ likelihood of flooding from major storms, earthquakes, burrowing rodents and even ship collisions (Lund 2011). 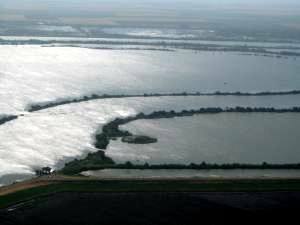 Two of the last three islands to flood were largely abandoned by their owners and remain flooded (Mildred in 1983 and Liberty in 1998; Jones Tract, having valuable infrastructure, was repaired in 2006). Liberty Island is now valuable habitat for native fish species. Franks Tract, which was flooded in 1938, now helps support one of the world’s top ten black bass fishing “lakes.” Fortunately, the most subsided islands also typically have low agricultural productivity, less economic value and few residents (Medellin et al. 2012). What can be done with these fragile and subsided lands? Is the fate of subsided Delta islands to become deeply flooded aquatic habitat? Replacing agricultural land with marshes to reverse subsidence has been extensively investigated for some Delta lowlands (Miller et al. 2008), raising some plots by 1-3 inches a year. Marsh plant and root growth become soil and raise marsh elevations with time. This is the same process that raised the Delta’s elevations as sea level rose for 6,000 years, until farming began in the late 1800s. Perhaps whole islands could be restored to more stable elevations. But can tens of feet be regained in an unstable environment before an island is likely to fail and be abandoned? Unfortunately, most subsided islands seem likely to flood well before managed marshes could raise elevations to near sea level (Bates and Lund 2013). In a few cases, shallower islands might achieve sufficient elevation for tidal marsh habitat before failure. For an island now 15 feet below sea level, an island-wide marsh raising elevations by 3 inches a year would need 52 years to raise the island to within 2 feet of sea level – perhaps high enough for flooded land to become tidal marsh. But what is the chance of this island failing before reaching this level? For an average annual failure rate of 1 percent a year, there is a 41 percent chance that the island would fail before rising to 2 feet below sea level. Most reputable estimates of island failure rates range from 2 percent to 7 percent a year, with odds of 65 percent to 98 percent that the island would fail as it rises to the tidal range. Some suggestion has been made that material from boring cross-Delta water supply tunnels might be used to restore some islands. Alas, a 40-mile, 40-foot diameter tunnel produces only about 6,000 acre-feet of volume. This would be enough material to raise only 600 acres of one island by 10 feet. This not much and would be expensive for islands far from the tunnel. 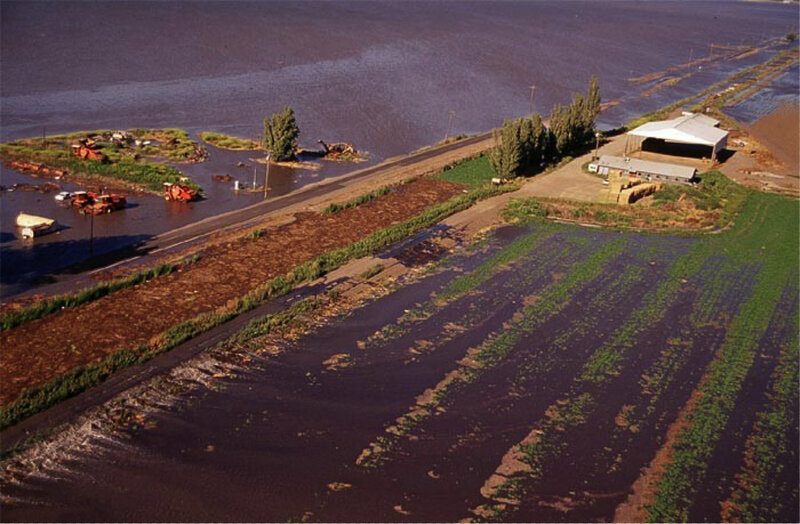 The Delta has about 250,000 acres below sea level – about 2 million acre-feet of volume. Much larger tunnels would be needed to substantially raise Delta islands. Owners abandoned the Delta’s Liberty Island after it flooded in 1998. Source: Calif. Dept. of Water Resources. Other ideas for raising island elevations have included depositing material dredged from ship channels, disposal of excess rice straw and landfilling. But none of these methods would provide more than incremental solutions, at often-great expense. Subsidence reversal is more likely to pay off for lands no deeper than 6 feet below mean sea level (about 7 of the Delta’s 36 subsided islands), although subsidence reversal on parts of some islands might provide fringe habitat when flooded. Overall, enthusiasm for reversing subsidence should be dampened and focused on circumstances where it is more likely to pay off. The Delta is a complex and hard problem, with no perfect solutions. Many well-intentioned Delta proposals are unlikely to succeed in the field. Some simple calculations can help determine relative promise. Both scientific efforts and policy discussions will be more productive if focused on more promising solutions. Jay R. Lund is the Ray B. Krone Professor of Civil and Environmental Engineering at UC Davis and director of the university’s Center for Watershed Sciences. Bates, M.E. 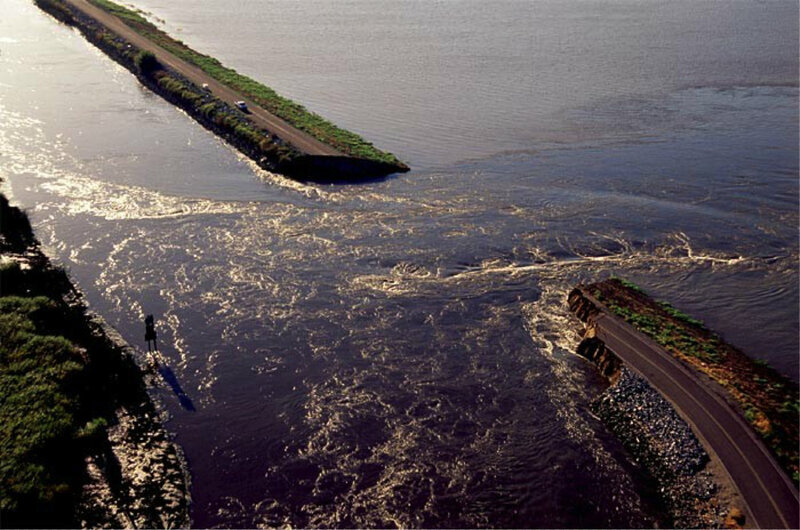 and J.R. Lund (2013), “Delta subsidence reversal, levee failure, and aquatic habitat – a cautionary tale,” San Francisco Estuary and Watershed Science, March 2013, 20 pp. Deverel, S.J. and Leighton, D.A., 2010, “Historic, recent and future subsidence, Sacramento-San Joaquin Delta, California, USA.” San Francisco Estuary and Watershed Science, 8(2). Drexler, Judith Z., de Fontaine, Christian S., Deverel, S.J., 2009, The legacy of wetland drainage on the peat resource in the Sacramento-San Joaquin Delta, California, USA, Wetlands, 29, 372-386. Jaclyn A. Hatala, Matteo Detto, Oliver Sonnentag, Steven J. Deverel, Joseph Verfaillie, Dennis D. Baldocchi, 2012, Greenhouse gas (CO2, CH4, H2O) fluxes from drained and flooded agricultural peatlands in the Sacramento-San Joaquin Delta. Agriculture, Ecosystems and Environment, 150,1-18. Lund (2011), “Sea level rise and Delta subsidence—the demise of subsided Delta islands,” CaliforniaWaterBlog.com, March 9, 2011. Miller RL, Fram MS, Fujii R, Wheeler G. 2008. Subsidence reversal in a re-established wetland in the Sacramento-San Joaquin Delta, California, USA. San Francisco Estuary and Watershed Science 6(3): article 1. Rojstaczer, S.A., Hamon, R.E., Deverel, S.J. and Massey, C.A., 1991, Evaluation of selected data to assess the causes of subsidence in the Sacramento-San Joaquin Delta, California, U.S. Geological Survey Open File Report 91-193. Thompson, J. (1957), The Settlement Geography of the Sacramento-San Joaquin Delta, California, PhD Dissertation, Stanford University, December 1957. Thompson, J. (2006), Early Reclamation and Abandonment of the Central Sacramento-San Joaquin Delta, Sacramento History Journal, Vol. VI, No. 1-4. This entry was posted in Uncategorized and tagged Delta, Delta islands, Jay Lund. Bookmark the permalink. Jay, you didn’t even mention sea level rise! I’d be interested in knowing how many more years it would take to recover subsided islands if that’s factored in. A calculation of the annual cost of marsh reclamation activites (such as DWR is doing on Twitchell Island) for this length of time, would be eye-opening. Good points. Sea level rise is slower than land subsidence for most of the subsided islands, but will be important over the long run and just makes the points in the paper stronger. As you mention, there is also a cost for marsh reclamation activities, including precluded use of that land for agriculture and the costs of marsh management. There might be waterfowl and other benefits for marsh management of subsided islands, but the point of our paper is that often subsidence reversal often will not be a major benefit.